I know this post should have exited by now, because stock is almost a presumed ingredient in everyone’s cooking arsenal. 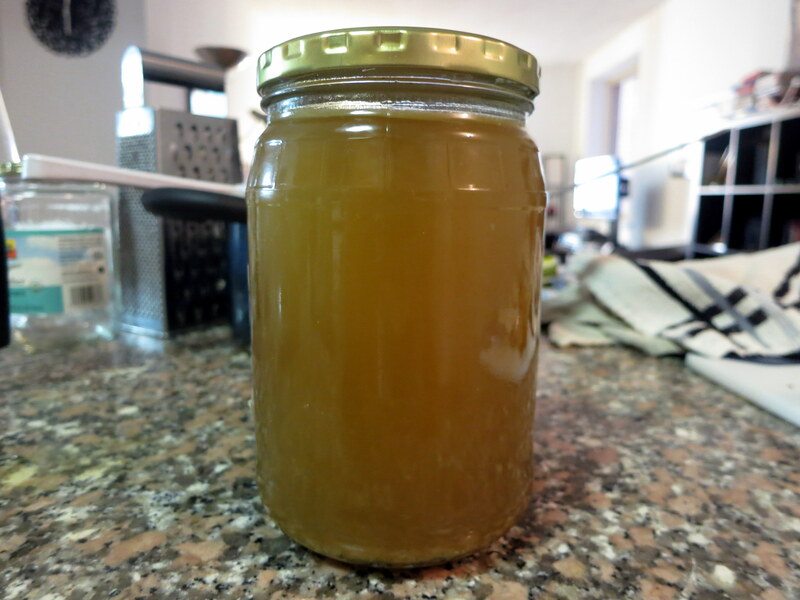 But Jen and I have been a bit lazy with our own stock making, and since I had just made a Whole Roasted Chicken earlier in the week, the leftover bones were a perfect occasion to make stock and have a post on it. I used up the stock a few days after to make Wild Mushroom and Asparagus Risotto, which makes me feel very resourceful and efficient with ingredients. Stocks can be made from any bones – fish, chicken, beef, etc. The cooking time goes up with the type of bones you are using though. Often bones from red meats and pork are roasted before making stock to add flavor, while fish and chicken stocks are typically white. I actually roasted the chicken carcass along with the leftover carrots, onions and celery because I wanted added flavor in my stock. 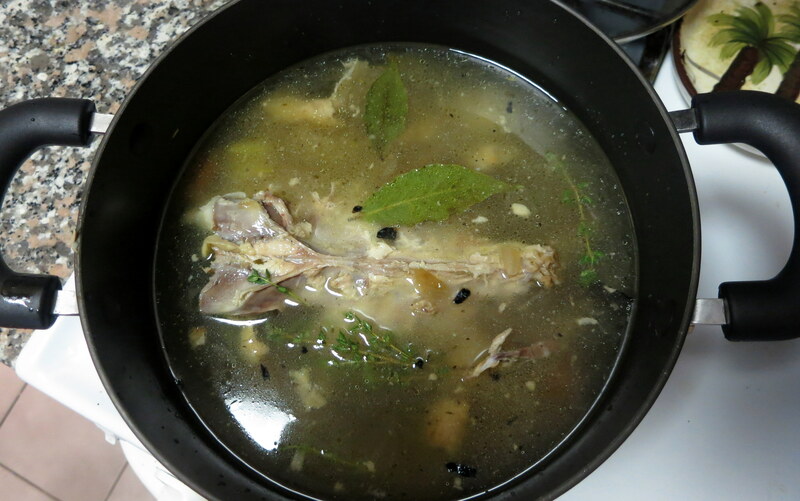 Place chicken carcass in water and add your vegetables and aromatics. I used bay leaves and thyme. Simmer for 2-2.5 hours, let cool and refrigerate. Use in sauces, soups, risotto, gravy, etc. I always have fresh stock in my freezer….